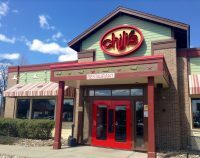 The restaurant chain Chili’s has canceled a fundraiser set up by a franchise partner for an affiliate of the abortion giant Planned Parenthood after receiving complaints over the matter. Planned Parenthood of Indiana and Kentucky had announced on social media last week that supporters throughout the two states could present a voucher when dining at Chili’s and 15 percent of their pre-tax purchase would be donated to Planned Parenthood. The promotion was a part of Chili’s “Give Back” program.